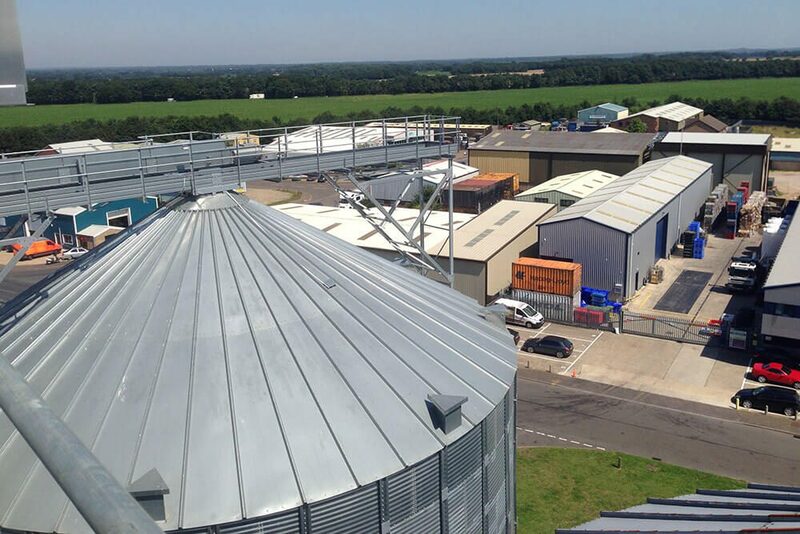 Tilia owns, manages and operates over 45,000 tonnes of combinable crop storage across two grain store sites in Norfolk. All our stores are fully TASCC certified. A 25,000 tonne capacity storage facility for malting barley varieties. The site boasts an additional 600 tonne of green crop holding capacity spread over three individual bins. A continuous flow 60 tonne per hour grain dryer and 40 tonne per hour rotary grain cleaner to remove impurities and screenings from the crop. The site also has a fully certified grain testing laboratory to carry out all client testing and analysis requirements. A 20,000 tonne capacity storage facility for all combinable crop commodities. This site comprises of two ex-RAF air craft hangers which have been fully refurbished and converted into flat grain storage. 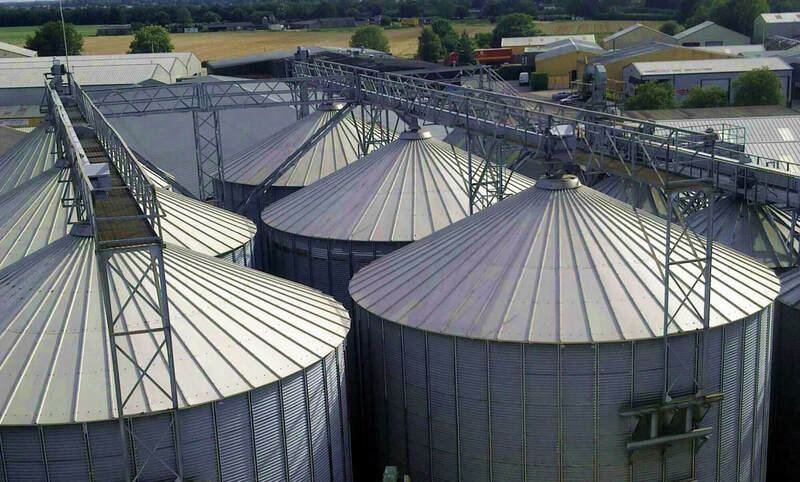 With ventilated flooring and automatic store control to keep storage conditions at an optimum and a fully certified grain testing laboratory to carry out all client testing and analysis requirements. Tilia owns, manages and operates over 25,000 tonnes of potato storage spread across four sites in Norfolk. Addison Farm at Foulsham has 3,800 tonne capacity of chilled box storage. This facility is bespoke to potato seed storage, both organic and non-organic status. Stores are fully automated with store monitoring control. Our Site at Melton Constable is a storage facility with a capacity of 9,400 tonnes. The site comprises of five individual stores and has a mixture of chilled and ambient storage. Potatoes can be stored in either bulk or boxed at this site to suit client demand. Stores are fully automated with store monitoring control. The site also boasts a 60 tonne per hour potato grading and washing facility. The Little Snoring site has a storage capacity 5,800 tonnes. This site has four individual ambient bulk stores and one large ambient box store. Stores are fully automated with store monitoring control. Little Snoring also has a fully equipped potato analysis and testing laboratory. A large ambient potato bulk store comprising of four individual stores. This site has a storage capacity of 6,000 tonnes and has a fully equipped potato analysis and testing laboratory. Stores are fully automated with store monitoring control.